Sunday, May 3, Mary Grigolia will be presenting and discussing with those in attendance some alternatives and suggestions for the 2015/2016 Fellowship season. I strongly suggest that you attend to have your thoughts known at this meeting. 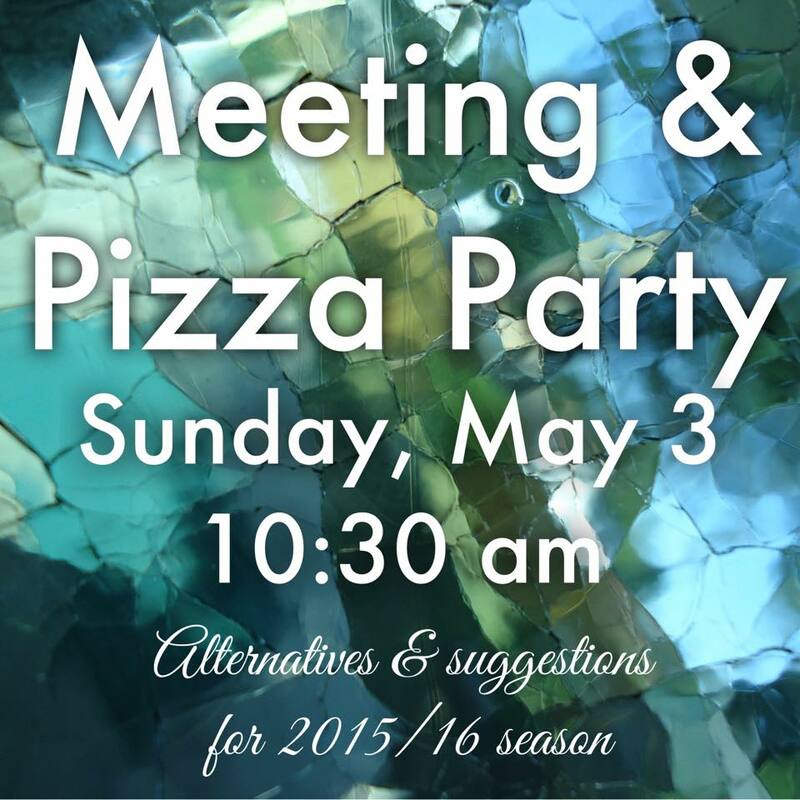 As an incentive, the Fellowship will provide pizza in place of our regular potluck lunch. Our plan is to present the best of the alternatives to the general membership for consideration and voting at the annual meeting May 17. Alternatives will be e-mailed prior to the annual meeting. (The meeting will take place during our normal service time, beginning at 10:30 am, followed by lunch).